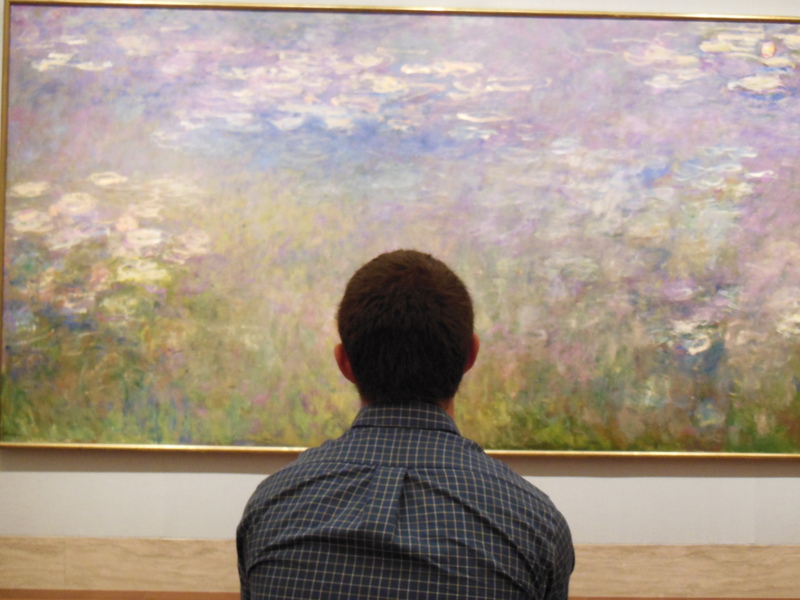 On Wednesday we took a visit to one of my favorite destinations in Kansas City, the Nelson-Atkins Museum of Art. It’s known for its neoclassical architecture and extensive collection of Asian art. Perfect! 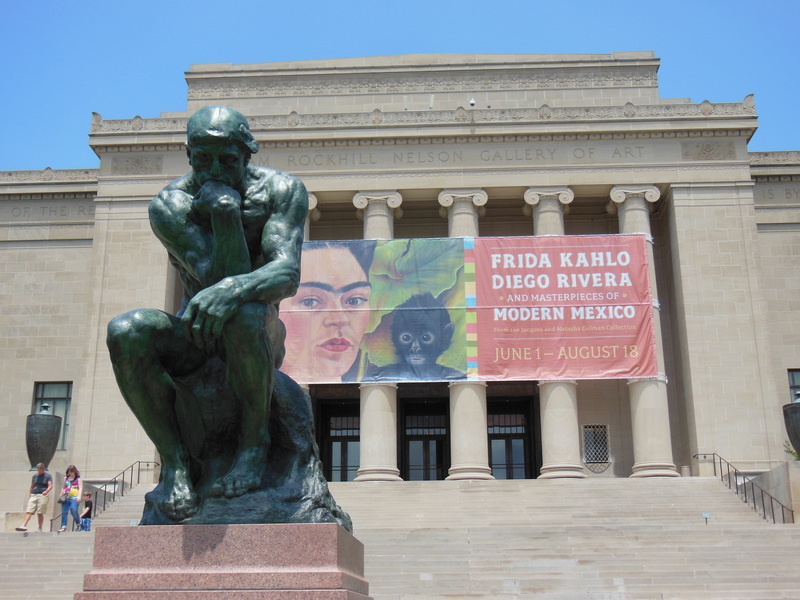 The Nelson also has a large collection of art from all over the world and they’re currently showcasing a traveling exhibit about Diego Rivera and Frida Kahlo. It was a nice exhibit; I’ve always admired Frida’s surrealism and it was wonderful to see so much creativity in person, but I also find’s Diego Rivera’s work to be a bit boring (and let’s not forget that he was kind of a pig) so Spenser and I moved on to our two favorite places in the museum. Mine is the ancient Greek and Egyptian art room that is full of stunning, incredibly old sculptures. 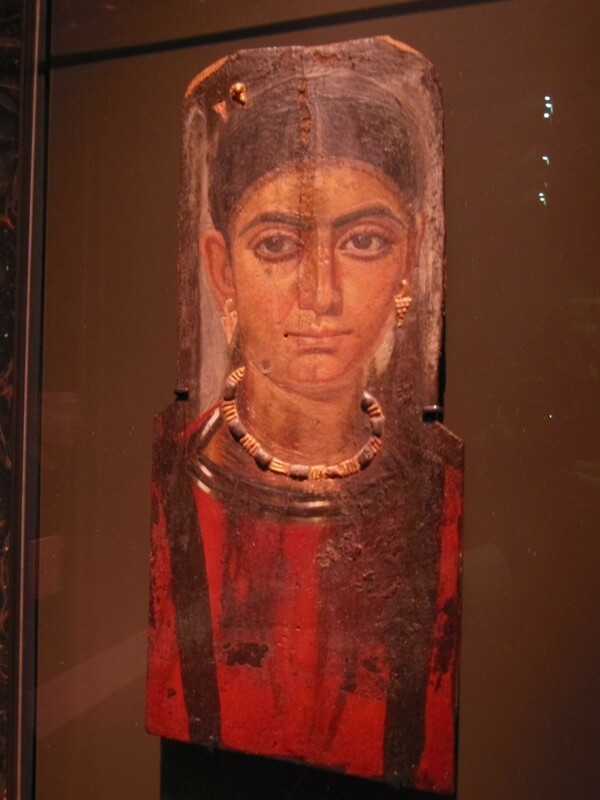 I definitely had to visit one my favorite pieces, an Egyptian encaustic piece (made with bee’s wax) from 130 – 161 BCE called “Portrait of a Woman”. This piece exemplifies why I love the encaustic medium: it looks like it was done a few months ago when it’s actually 1,883 or so years old. Simply incredible. 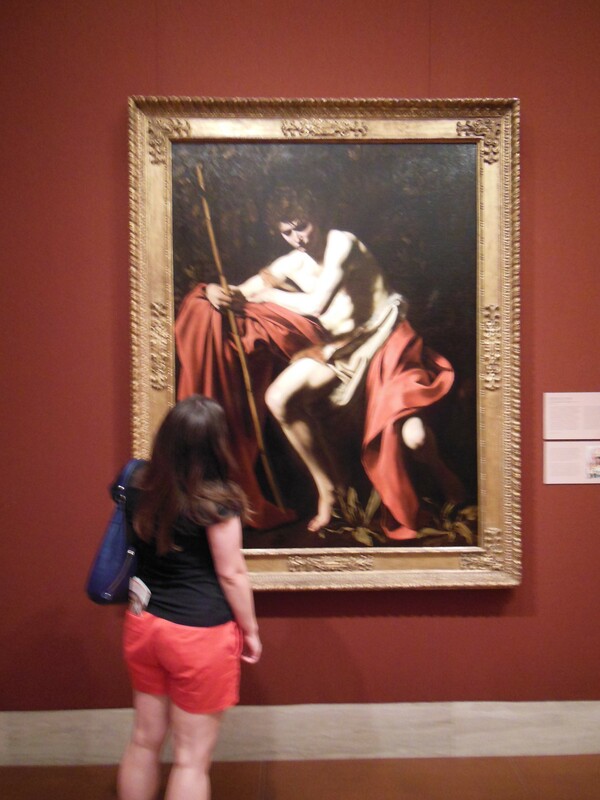 On our way from my favorite wing to Spenser’s favorite wing, I had to pay my respects to Caravaggio’s “John the Baptist” painting that’s just so darn beautiful, I fall in love with it every time I see it. Just look at that composition! The chiaroscuro! Ah, wonderful. 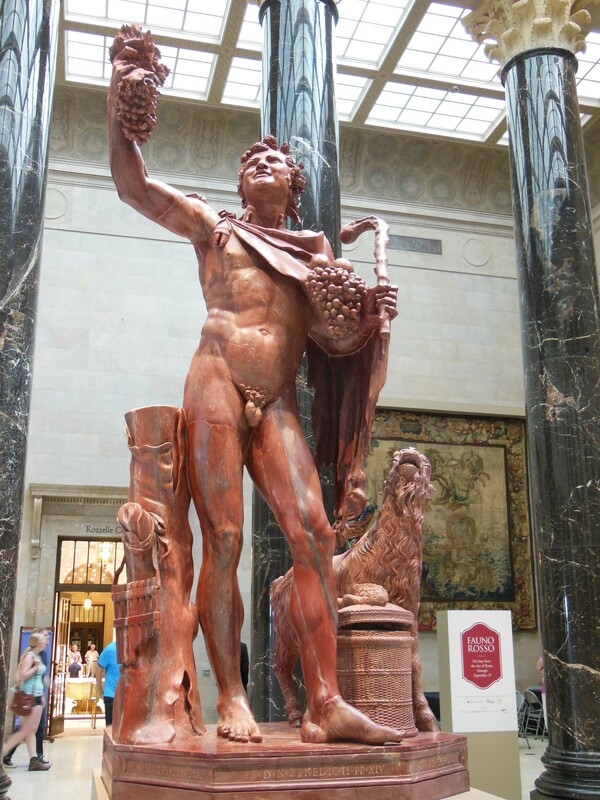 Anyway, as we walked through the main atrium, we admired the tapestries and the Fauno Rosso, a charming red marble sculpture on loan from Rome. 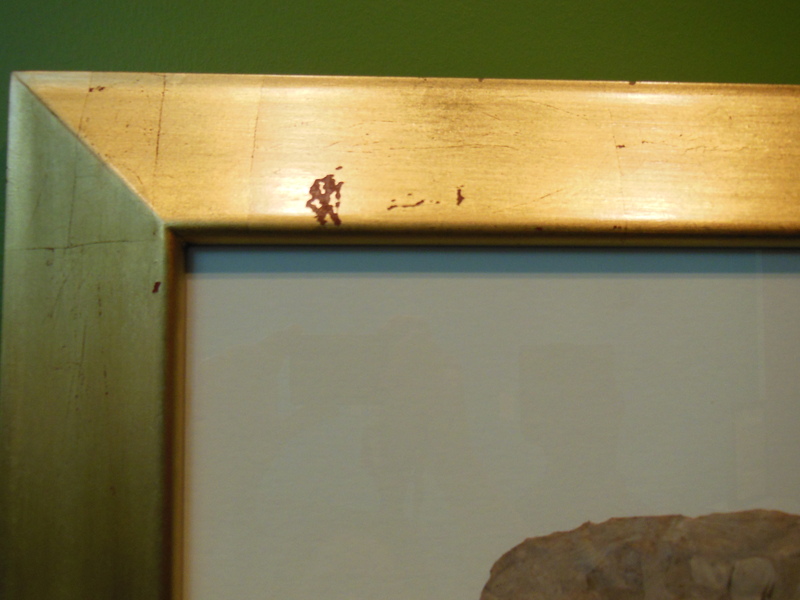 We also discovered that I’m slowly becoming a very annoying museum-goer because I’m constantly inspecting the quality of the frames, how they hang each piece, whether the glass is clean, height, labels, etc. I’m sorry Spenser, but after working in an art gallery for two years, I just can’t help it. AND guess which priceless work of art has a huge gap in the top right corner of its frame? GASP! 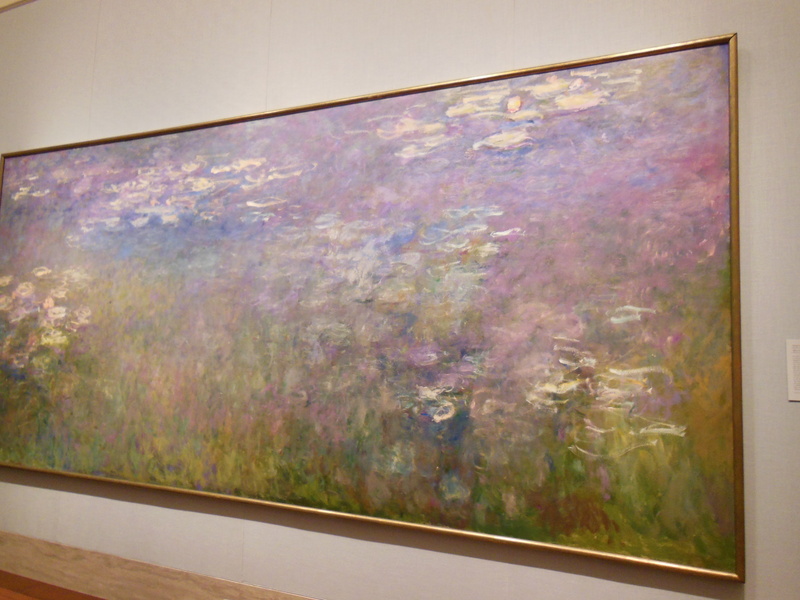 That’s right, even Monet’s waterlilies suffer from framing issues from time to time. Shameful. But Spenser enjoyed it anyway. After walking for a bit (the Nelson is pretty large), we got to Spenser’s favorite gallery, the Asian art gallery! Naturally, he was trying to read all the Mandarin we encountered and we still had a lot of fun frolicking around the exhibit. However, the best room of all is the Chinese Temple Gallery complete with an actual temple and a seated Guanyin Bodhisattva from 11th/12th century CE. 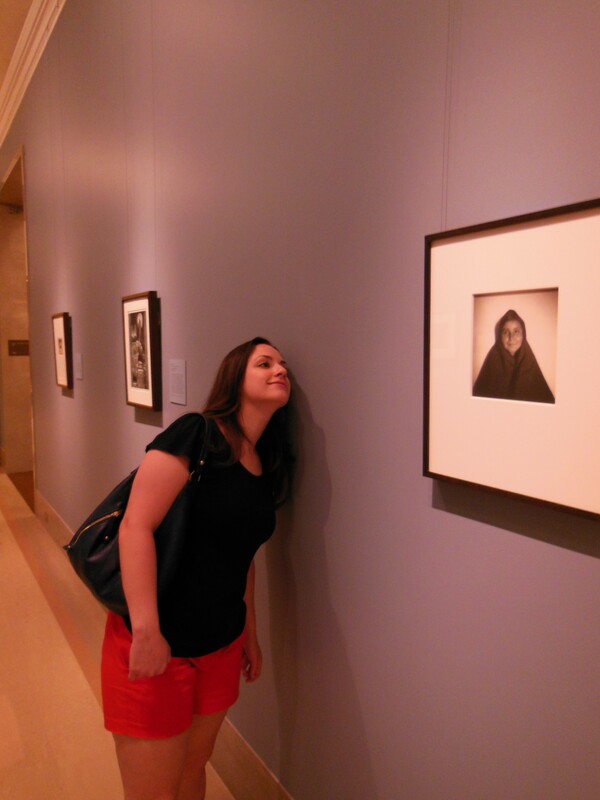 Seriously, if you’re ever in the area, go check out this gallery inside the Nelson-Atkins. Many people tend to overlook the Asian art section but trust me, you won’t be disappointed. After we had our fun, we decided to go enjoy the sunshine and the beautiful grounds that surrounded the museum. And do cartwheels. Why? Because we can. It was a wonderful art-filled day. Coming up next: Kansas Engagement Party!